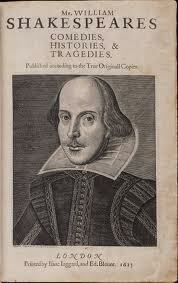 Research guide devoted to the work and historical background of William Shakespeare. Image from http://www.business2community.com/social-media/four-lessons-on-engaging-from-william-shakespeare-018201#!zt6gW, accessed March 12, 2014. 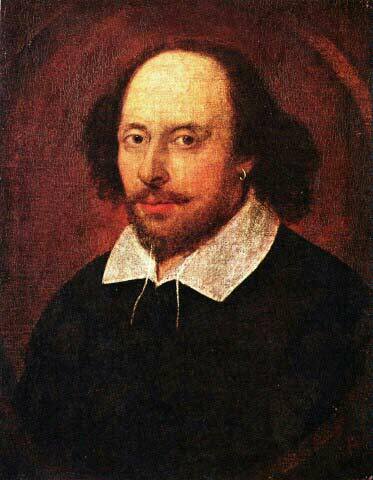 William Shakespeare was born in Statford-upon-Avon on or about April 23, 1564. His father was a merchant who devoted himself to public service, attaining the highest of Stratford's municipal positions—that of bailiff and justice of the peace—by 1568. Biographers have surmised that the elder Shakespeare's social standing and relative prosperity at this time would have enabled his son to attend the finest local grammar school, the King's New School, where he would have received an outstanding classical education under the direction of highly regarded masters. There is no evidence that Shakespeare attended university. In 1582, at the age of eighteen, he married Ann Hathaway of Stratford, a woman eight years his senior. Their first child, Susanna, was born six months later, followed by twins, Hamnet and Judith, in 1585. These early years of Shakespeare's adult life are not well documented; some time after the birth of his twins, he joined a professional acting company and made his way to London, where his first plays, the three parts of the Henry VI history cycle, were presented in 1589–1591. The first reference to Shakespeare in the London literary world dates from 1592, when dramatist Robert Greene alluded to him as "an upstart crow." Shakespeare further established himself as a professional actor and playwright when he joined the Lord Chamberlain's Men, an acting company formed in 1594 under the patronage of Henry Carey, Lord Hunsdon. The members of this company included the renowned tragedian Richard Burbage and the famous "clown" Will Kempe, who was one of the most popular actors of his time. This group began performing at the playhouse known simply as the Theatre and at the Cross Keys Inn, moving to the Swan Theatre on Bankside in 1596 when municipal authorities banned the public presentation of plays within the limits of the City of London. 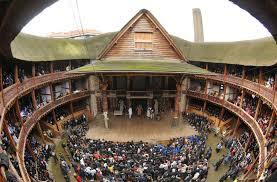 Three years later Shakespeare and other members of the company financed the building of the Globe Theatre, the most famous of all Elizabethan playhouses. By then the foremost London Company, the Lord Chamberlain's Men also performed at Court on numerous occasions, their success largely due to the fact that Shakespeare wrote for no other company. In 1603 King James I granted the group a royal patent, and the company's name was altered to reflect the King's direct patronage. Records indicate that the King's Men remained the most favored acting company in the Jacobean era, averaging a dozen performances at Court each year during the period. In addition to public performances at the Globe Theatre, the King's Men played at the private Blackfriars Theatre; many of Shakespeare's late plays were first staged at Blackfriars, where the intimate setting facilitated Shakespeare's use of increasingly sophisticated stage techniques. The playwright profited handsomely from his long career in the theater and invested in real estate, purchasing properties in both Stratford and London. As early as 1596 he had attained sufficient status to be granted a coat of arms and the accompanying right to call himself a gentleman. By 1610, with his fortune made and his reputation as the leading English dramatist unchallenged, Shakespeare appears to have retired to Stratford, though business interests brought him to London on occasion. He died on April 23, 1616, and was buried in the chancel of Trinity Church in Stratford. "William Shakespeare." LitFinder Contemporary Collection. Detroit: Gale, 2007. LitFinder. Web. 4 Mar. 2014. 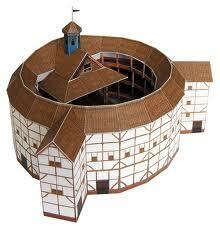 Image accessed from http://esoenglishclass.blogspot.com/2012/03/shakespeares-globe-theatre.html, March 8, 2014. An attraction of the public theaters was the way the actors and audience shared the same conditions and place. According to R. A. Foakes, “One reason these theatres stayed in business was that they provided an especially close relationship between actors and audience, with no visual barrier between them, allowing the actor to identify himself as intimately Page 100 | Top of Articleas he pleased with the spectators, or to distance himself within the action” (1990, 24). In other words, the aside and the soliloquy were flexible devices for instantly transforming relationships on stage and between the stage and the audience. Excerpted from: "The Theater." William Shakespeare: His Life and Times. Dennis Kay. New York: Twayne Publishers, 1995. 78-105. 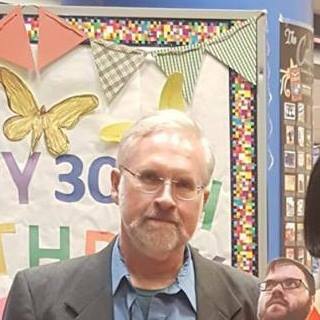 Twayne's English Authors Series 513. Gale Virtual Reference Library. Web. 8 Mar. 2014. Image accessed from http://cristianaziraldo.altervista.org/william-shakespeare-the-globe-theatre-and-some-trivia/, March 8, 2014. The Alabama Virtual Library (AVL) provides all students, teachers, and citizens of the State of Alabama with online access to essential library and information resources. It is primarily a group of online databases that have magazine, journal, and newspaper articles for research. If you enjoy the benefits that AVL brings to your school, college, library or home, please take a few minutes to thank your local legislators for providing this resource for the State of Alabama. Once you find an article you need, you can download it to your computer, print it, or e-mail it to yourself. One of the most useful databases for finding articles on literary figures such as Charles Dickens is Literature Resources from Gale. This database provides multiple options including basic search, advanced search, person search, works search and a Gale literary index. Also included are icons for bookmarking entries, dictionary searching, database title lists, general help, tips and a guided tour.